Turn Your Photo Skills into Video! Photographers… how often do you get asked this question whenever working with a client? How many times have you had to tell them “no” because you weren’t exactly comfortable with doing it? Video can be a scary place if you’re coming from a photo background and not use to the equipment and doing sound. 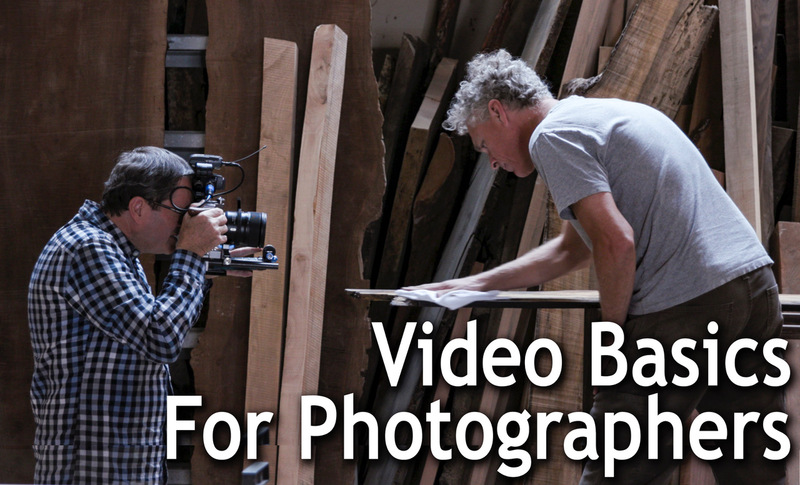 Luckily for you, our Video Basics for Photographers workshop covers everything you need to know to translate your knowledge of photography to video. Jay P Morgan and Kenneth Merrill will mentor you as they show how to shoot a documentary style project, and share with you the knowledge you will need to become a video shooter. With over 25 years of experience working in the industry, Jay P and Kenneth will help you overcome the obstacles of video production and become confident doing video. Immediate access as a digital download. Three and a half hours of Instruction. Anyone with a basic knowledge of photography and wants to apply those principles to video production. Jay P and Kenneth are both working professionals in the Los Angeles film and photography market. Coming from a background in still photography, Jay P has successfully made the transition to the digital world and has taught many photo and film students at universities about film concepts and best practices. This all-encompassing guide walks you through a project start to finish with tips and tricks that many beginning filmmakers struggle with. Here is your answer to starting that new business venture and making money as a video and photo shooter! With 25+ years in commercial photography, I have shot for a variety of clients including entertainment, consumer products, fashion, and high tech companies. I’ve taught photography and videography at Art Center College of Design, Brooks Institute, and Golden Gate College. My photography and videography business and how-to lessons have been featured in No Film School, F-Stoppers, Peta Pixel, and SLR Lounge, among many others. I have had the pleasure to present workshops and speak at many different events in the industry, including but not limited to, PhotoPlus, WPPI, and PPA. My clients have included Showtime, IHOP, Liz Hernandez with E-TV, Mc Donald’s, Warner Brothers, and many more. Kenneth is a working Director, Director of Photography and Editor in Los Angeles, California. He has a wealth of knowledge and real-world experience doing all types of video from corporate to feature films. Kenneth is a technical guru in the video industry and writes monthly for many prominent blogs. 30-Day Money-Back Guarantee. If for any reason you aren’t completely satisfied email us about our return policy. Watch the content anytime and anywhere. You’re in 100% control of when you learn. Disclaimer: Downloaded content are not eligible for refunds.